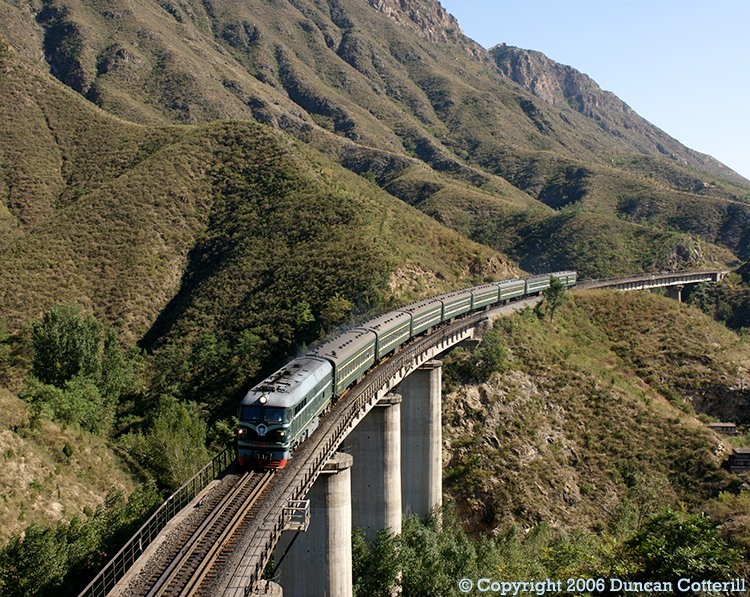 For much of the distance between Huairou Bei and Longhua, the Beijing - Chifeng line runs along a shelf carved into the mountainsides with many viaducts and tunnels adding to the interest. DF4 0693 had just left Gubeikou with train 4450, the Longhua - Beijing Bei local passenger, when it was photographed crossing one of the viaducts west of the station. 28 September 2006.